The movie's villains have a Rampage arcade cabinet in their office, but there's no mention of the game itself. Just a fun action flick! Video game themed movies have created a genre of film with very low expectations. Some are much worse than others, but the general feeling is pessimism at the outset. A common element to many of these films is their focus on gaming itself. 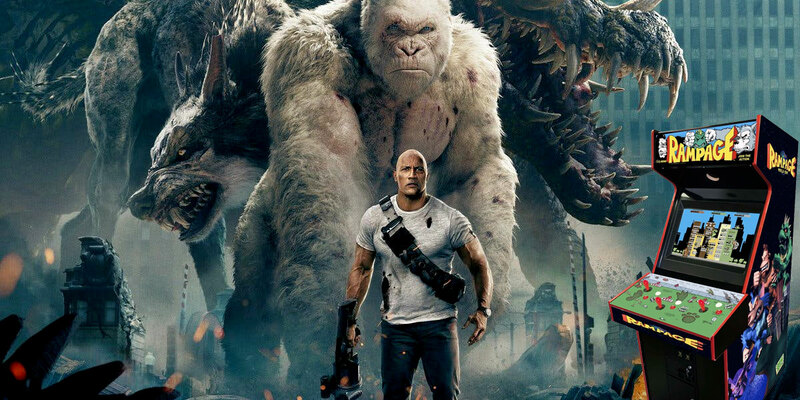 Rampage differs in that it takes the general storyline we know from the arcade game and delivers it as a movie. 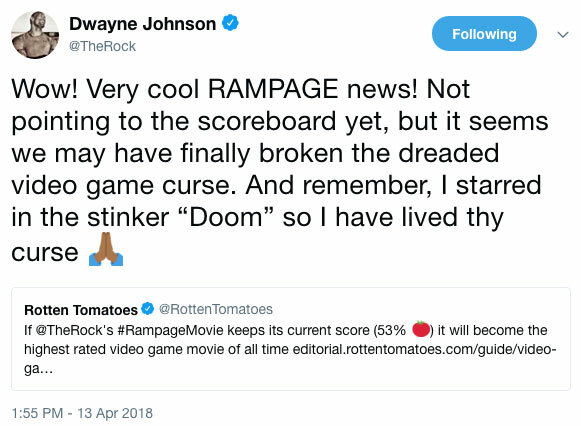 At no time does Dwayne Johnson need to drop a few more quarters to "get to the next level" nor does he require "power-ups". Johnson tweeted his conficence in Rampage and he was right! Rampage is a fun action film. A bit over-the-top. A bit heartwarming. Good guys and villans. Monsters. It's not at all laden with lame video game references by Hollywood morons who've never been in an arcade. The initial setup of the story is pretty cool and introduced the premise really well. They took time to introduce the characters without delving into a computer-generated atrocity. Having played (and loved) Rampage in arcades, it was fun to see the story unfold on the big screen. Scenes set in the villain's office often gave quick glimpses of a Rampage arcade game in the corner. This was a nice subtle touch. Overall, I really enjoyed the film and I know this is one I'll watch often once it comes out on DVD. Give it a try - I think you'll find it atypical to most "video game" movies. Apparently, Canadian arcade dev Adrenaline is creating a movie tie-in game that is rumored to be a Dave & Busters exclusive. There is little info about it other than it being a rail-shooter with a joystick and a button. More details will follow once the game is more widely released. Adrenaline is known primarily for redemption games with moderate appeal. Behind the large screens and vibrant setups, the games are often more glitz than gameplay. However, we'll keep an eye out for it. Come on... it's RAMPAGE! 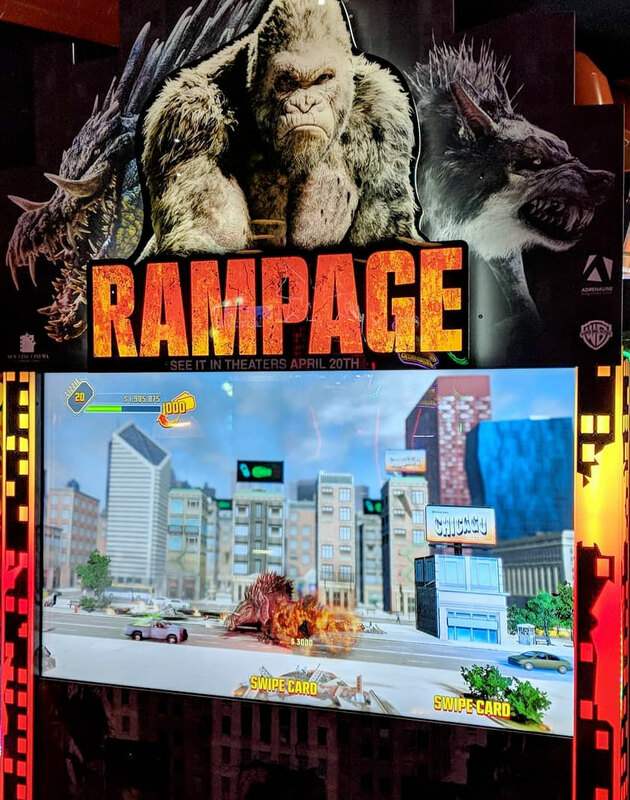 I haven't seen a Rampage arcade game in the wild for quite some time... years and years to be honest. I'm a big fan of Rampage Total Destruction for the Wii with some interesting control features via the wiimote & nunchuck. 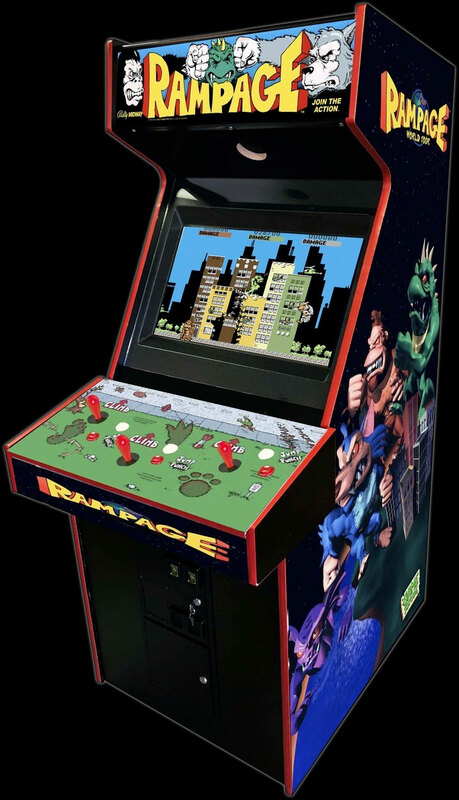 Midway's Arcade Treasures features Rampage among others as well. 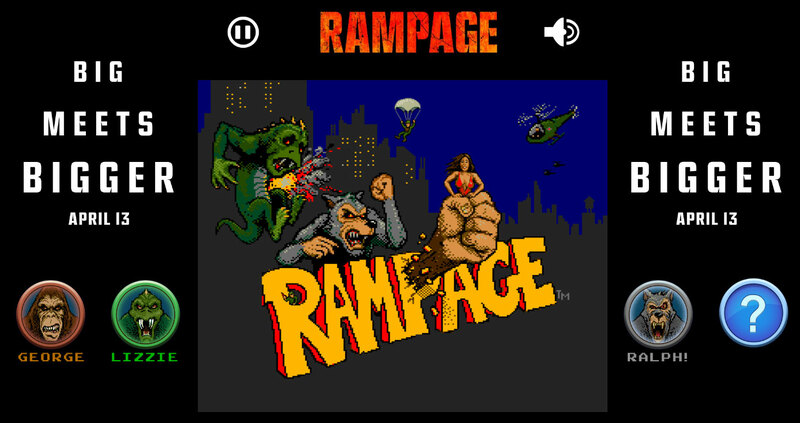 However, the easiest way to play is through the Rampage movie's website where they let you play Rampage online!